Softer Design - Residential influence is becoming even stronger, furniture and offices are taking on a homely style. 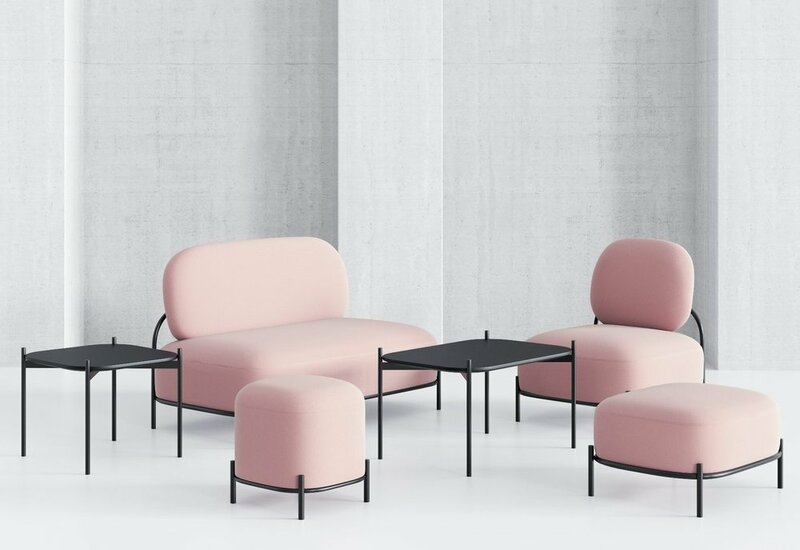 Commercial furniture is quickly responding to the trend with the emergence of soft lines, luxe fabrics and cozy colours. Demand for Experience driven spaces - The demand for social spaces will extend throughout 2019. 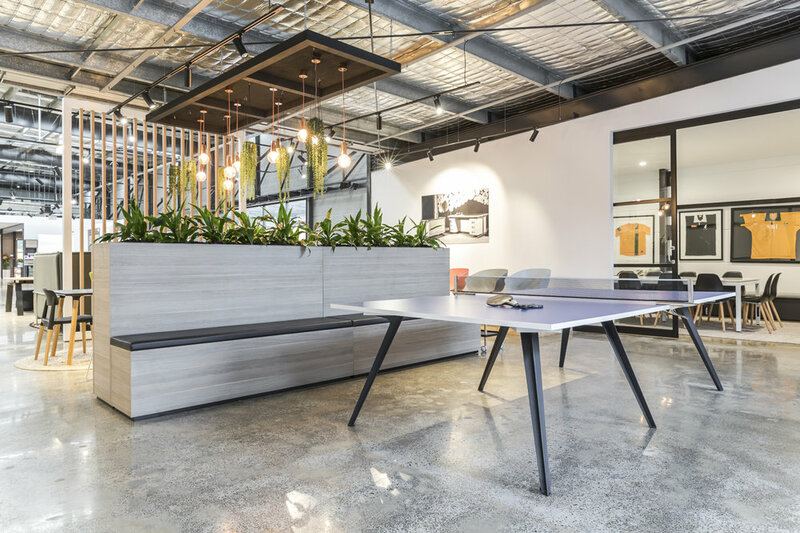 Facilities that encourage staff to have fun such as table tennis tables, coffee bars, exercise zones and courtyards are highly sought after. Colours - Coral takes the win for Pantone colour of the year and we expect to see it more along with tones such as blush, khaki, navy, softer blues, yellow and emerald green. Natural and earthy colours will also ring through 2019 with greys, beiges, whites, burnt oranges and tans. 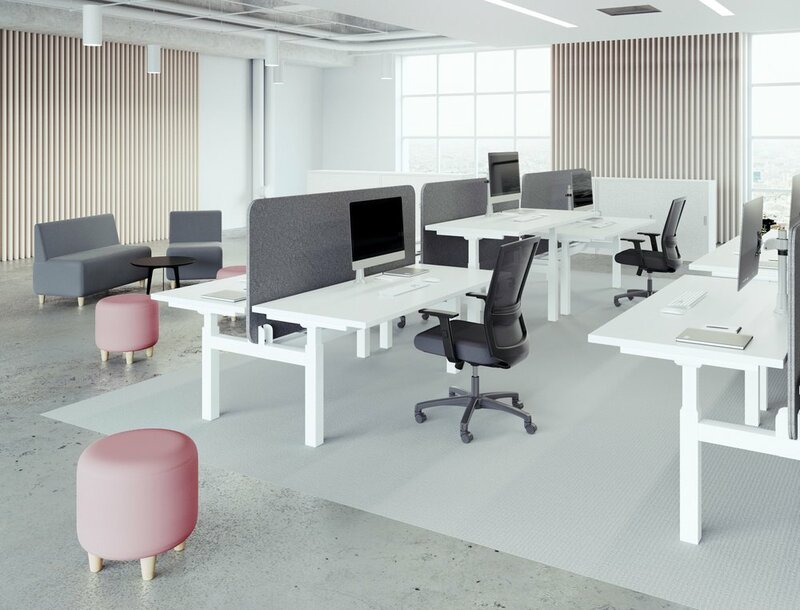 Standing Desks - They’re here to stay, the industry recognises the importance of health and wellbeing, with the focus on ergonomics still remaining strong. Advanced Task Chairs - They’re getting better and better, in terms of aesthetics and comfort. Chairs with supreme functionality such as automatic tension control, core equalisers and greater adjustment options will be at the forefront. Working From Home Arrangements - Calling for employers to ensure that their staff have an adequate set up at home to be the most productive. Do they have the right chair? Desk? Monitor arms? Technology? Wire Up - Nowadays employees have higher expectations when it comes to technology so avoid frustrations and ensure that your office is equipped with all the right power accessories. Consider USB charging, laptop holders and more GPO’s. Pods & Zones - Pods and working zones were rampant at the lastest Orgatec. We expect to see this trickle through with more emphasis on quiet rooms with soft furniture, furniture with acoustic materials and the high back lounge trend to stick around. The De-cluttering movement - Everyone’s talking about Marie Kondo - the organisational guru, her movement is taking the world by storm. Capture the trend by encouraging staff to be organised, offer sufficient storage, filing systems and online cloud storage. Plants - From a small cactus on a desk to lush vertical gardens, integrating nature in the office will still be very much on trend in 2019. 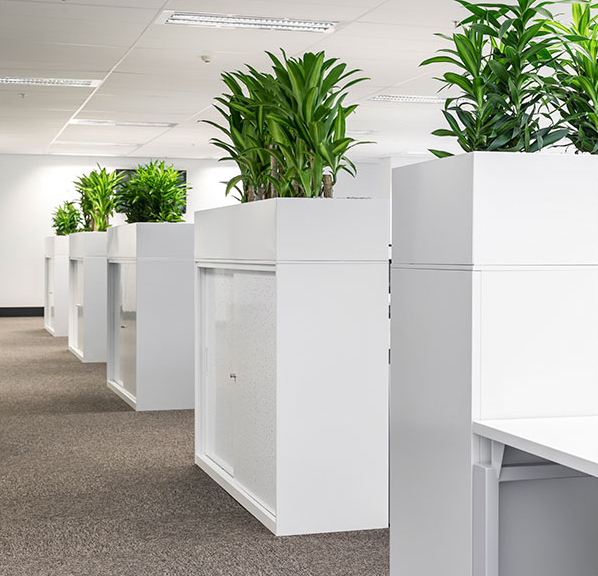 Studies have also shown that offices with plants are known to be more productive.